The Windows XP SP3 Download tutorial is a plea to all home computer users who are still running Windows XP. 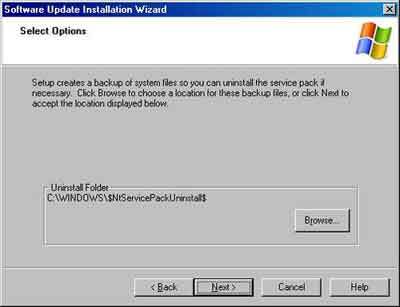 If you do not have Service Pack 3 installed, please read this page and upgrade ASAP! 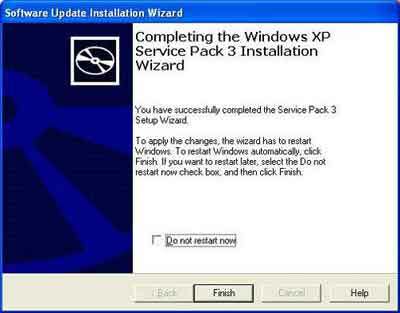 To protect your computer from Malware and other cyber criminal activity You Must Upgrade To XP Service Pack 3! My advice is to move to Windows 7 (assuming you wish to stay on a Windows platform) as soon as possible. Part 1 shows you the reasons why you should upgrade from Service Pack 2. It is surprising how many home computers do not have SP3 installed. Part 1 also explains the benefits of installing SP3 such as increasing performance and security, for example. There is also good checklist for what you need to do prepare your computer before upgrading to Service Pack 3. This is an essential read! Applying Service Packs is quite an easy thing to do. Just follow the guide and you should be able to upgrade without any problems. Do you have Microsoft Windows XP Professional SP3, or Home Edition Service Pack 3 installed? If not, explain to your fellow readers why you haven't upgraded yet? If you have already upgraded to SP3, explain how easy (or hard) it is. We are interested in your thoughts and opinions! Share your views and write your own personal web page by completing the Do You have SP3 installed? Form at the bottom of this page. Read Other Site visitors Thoughts on all things XP SP3 related. The following steps show you how to apply the Windows XP SP3 download yourself. Some professionals prefer this method so they can control when the Service Pack is applied. However, I am more than happy to let Automatic Updates control this. For the purposes of this tutorial I am using Microsoft Windows XP Professional SP3. You can use the same download for whatever version of Windows XP you are using. Depending on the speed of your computer the process could take anywhere from 30 minutes to an hour. 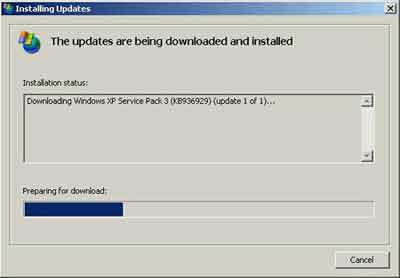 To apply the Windows XP SP3 download. Select the Microsoft XP Service Pack Download link (Opens New Window) to get Service Pack 3. Select the Download button on the web page. Select the Save Button on the File Download Prompt then wait patiently for the Service Pack to download. Depending on your Internet speed this could take a while. Once the EXE is downloaded, double click to start the process. Select the Run Buttonwhen prompted, then wait for the files contained within the EXE to be extracted. When the files finish extracting select the Next Button on the Software Update Installation Wizard. Note the advice to Backup your system (and your data files) and close all open programs. Open programs can cause the installation to fail. Select the I Agree option on the License Agreement screen, then select Next. Next you can choose where to store the current system files that Service Pack 3 modify and replace. My advice is to accept the suggested location and select Next. The Update Wizard will inspect your computer then start the backup of your system files. Depending on the speed of your computer this could take a while. After the Backup step is complete, a System Restore Point is created. If there is an problem, you have the option to rollback to before you started the update process. Once the Restore Point is created the new Service Pack files are installed. After the Service Pack 3 files are installed, a series of clean up tasks are performed. Again the speed of your computer will determine how long this step takes. After these tasks are complete, the service Pack installation process finishes. Click the Finish Button prompting your computer to Restart. Right click the My Computer icon on your desktop then select Properties from the resulting menu. Do you see SP3? That's it! Straightforward or what! You will find that once Service Pack 3 is installed there will be a raft of additional updates waiting to be installed via Automatic Updates. 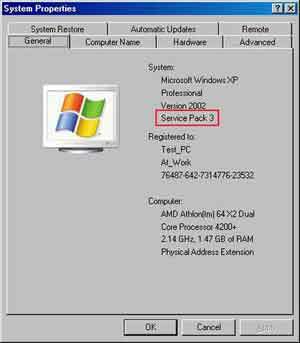 If you have Windows XP SP2 you can download Service Pack 3 via the Automatic Update utility. This is the common method of installation for most home computer users. 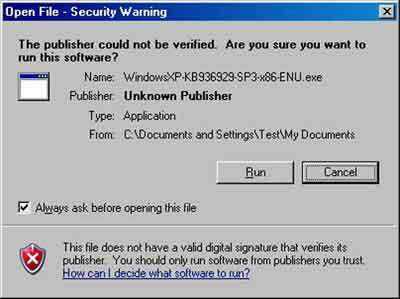 Whether you initiate the installation, or Automatic Updates does, you are prompted to Accept The License Agreement. Service Pack 3 will now download to your computer. Once Service Pack 3 is downloaded the Microsoft Windows Update begins to install. From this point you follow the steps above, starting from the Update Wizard. 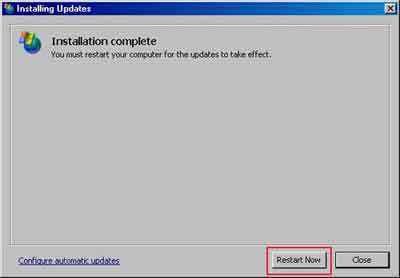 When the installation completes, click the button to Restart Your Computer. As with the manual process there is a load of subsequent Security Updates to apply. These updates are what Microsoft have released since Service Pack 3. In conclusion, if you are going to download Windows XP SP2, DON'T!. Install Service Pack 3 instead. PC Advisor (Opens New Window) has a good 3-part article on Service Pack 3 that is worth a read. Do You have SP3 installed? Enter Your Title e.g. "SP3 is Overrated"
ALL SP links for win xp are gone!